I see lots of interesting design products, so it takes something before I go wow. 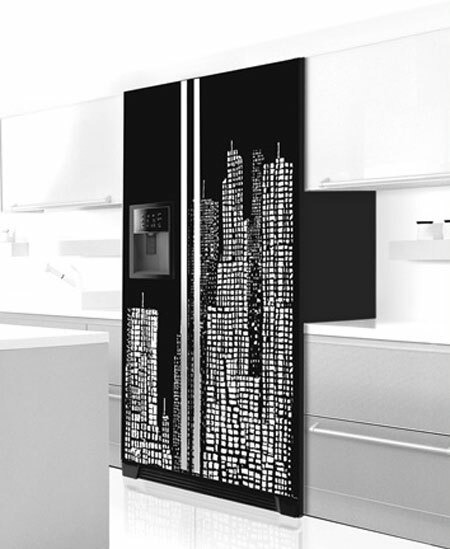 This fridge is just one of many available by Italian company Coolors. The refrigerators themselves are made by Whirlpool then screenprinted. Apart from the built in models, the freestanding ones are screenprinted on the sides too. Their website has many more options including tulips, Marilyn Monroe and Audrey Hepburn. 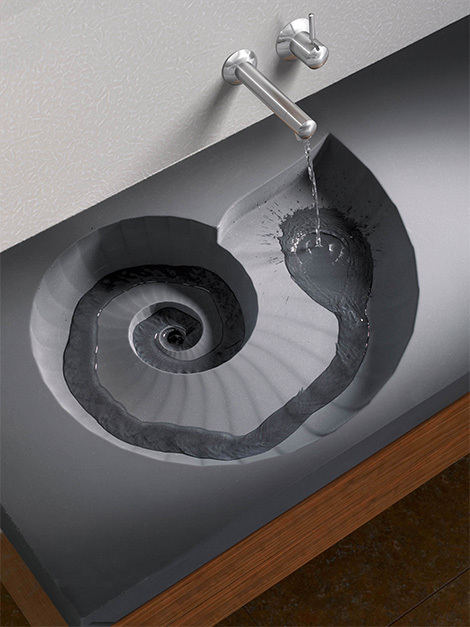 This delicate and smooth Ammonite washbasin is actually made from concrete by High Tech Design Products AG. I think it looks effortlessly beautiful and I really hope to see more uses for moulded concrete. On this blog somewhere is a moulded concrete sofa prototype which breaks the traditional stereotype of this workhorse of building material being used for something more decorative indoors. Concrete is also more and more being used to manufacture worksurfaces in the kitchen. Exciting! THG Niagara bath mixer tap is pretty stylish at around £542.00. 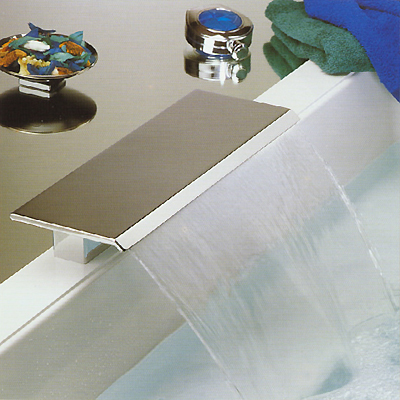 Available in chrome, nickel, gold and silver it also has matching bidet and basin spouts. Yes, this a cooker hood. One of a range from Elica . Just perfect for that kitchen island with an open griddle. 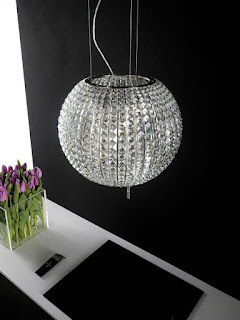 Made from glass and steel it is 47cm wide and takes 4 internal bulbs so doubles as efficient lighting too. This company also do a matching air purifier, unusual idea which shows how forward thinking they are.